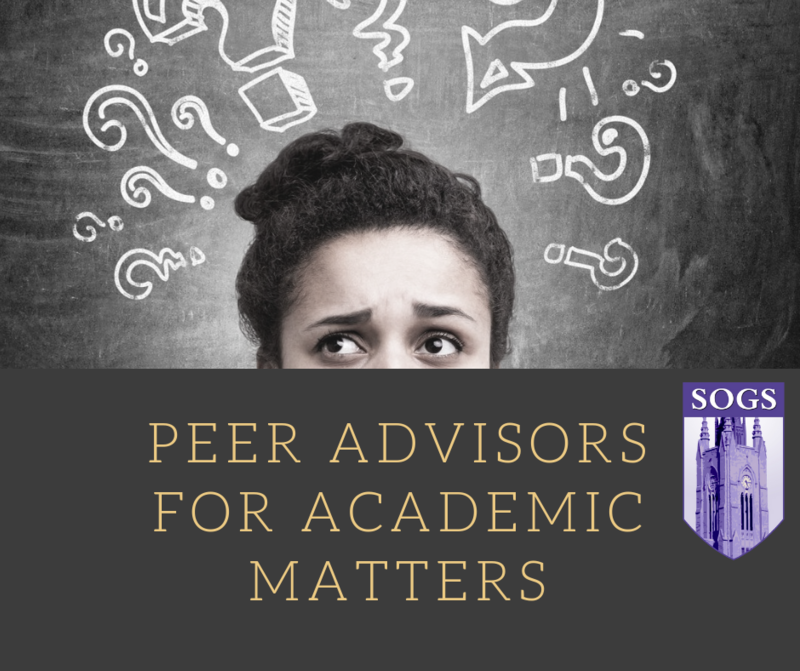 SOGS peer advisors are here to help graduate students and can assist in academic matters including academic appeals, relations with supervisors and course instructors, discrepancies in funding packages, and more. If you would like to speak with one of our peer advisors, contact them at advisor.academic@sogs.ca. In order to protect your privacy, all advocacy work done for SOGS members will be kept confidential as per the SOGS confidentiality agreement.